Children like to play and it is universal. We know that ‘Play’ is a word associated mostly with children. Children like to play for recreation, enjoyment, and to explore their surroundings. Learning, on the other hand, means the activities undertaken to acquire knowledge. Around two decades ago, these two words were generally thought to be disparate especially in India. However, this changed slowly as modern educationists explored newer and more effective approaches to learning. As parents, it will help you to understand the benefits of game-based learning for your child. Let us first understand what is game based learning. Learning through playing games is what modern schools and educationists are adopting now. A school called Quest to learn (QTL) in the US follows a complete game-based curriculum for middle school children from grades 6 to 9. In fact, one of the oldest educational games “Oregon Trail”, was produced in the US as early as early 1970’s. The video game taught students about pioneer life in Oregon Trail in the 19th century. Game based learning units are designed to help students learn about certain subjects and acquire skills during the process of playing a game. Game-based learning defies the old school method of ‘rote memorization’, where the focus is given on learning through memorization and recall of information. Game-based learning units have a clear-cut learning goal. The student plays the game with the objective of acquiring knowledge in a certain area or acquire some practical skills. Post the game, students are expected to practice the skills in the real world. For example, Fizz Buzz is a popular mathematics game. Students learn to practice division in a fun manner. The students sit in a circle and the player designated to start the game says ‘one’. Each player takes a turn to spell out a number. However, any number divisible by three is replaced by the word fizz and any number divisible by five by the word buzz. Numbers divisible by both 3 and 5 become fizz buzz. A player who makes a mistake is eliminated from the game. The game is simple but calls for knowledge of numbers, multiplication facts, and divisibility. It also calls for the alertness of mind to be able to analyze a number quickly. The game is more engaging than practising division using pen and paper. It is also interactive because students play it in a group. There is immediate feedback when a student makes a mistake and is ousted from the game. With practice, students can become a pro in numbers playing Fizz buzz and will be able to solve similar problems anywhere. Games offer a safe and low-risk learning environment to acquire a skill. Once learned, the skill can be applied in any learning environment. Game based learning has been successfully applied to subjects like Science, Social studies, and Language, and Geography in school education. The Academy Island from Cambridge ESOL is a popular adventure game to learn English. In the game, unknown alien lands up on earth and through various social situations learn English. The learner’s language skills get tested when he or she helps the alien interact in English within the story. In some types of game based learning units, the learner is immersed in a simulated environment that replicates the exact scenario where the skill is going to be practiced. This is largely the case in Aviation, Military, and Healthcare training.This is also called simulation based learning. However, all game based learning units do not emulate the real scene, yet the goal of all game based learning modules is to empower the student to apply the skill in real life situations. Digital Videos, Mobile apps, Cards, Board games, Puzzles, Role Play in the classroom are some ways in which game based learning units are created. So, why must every parent consider incorporating game-based learning units in his or her child’s study plan? 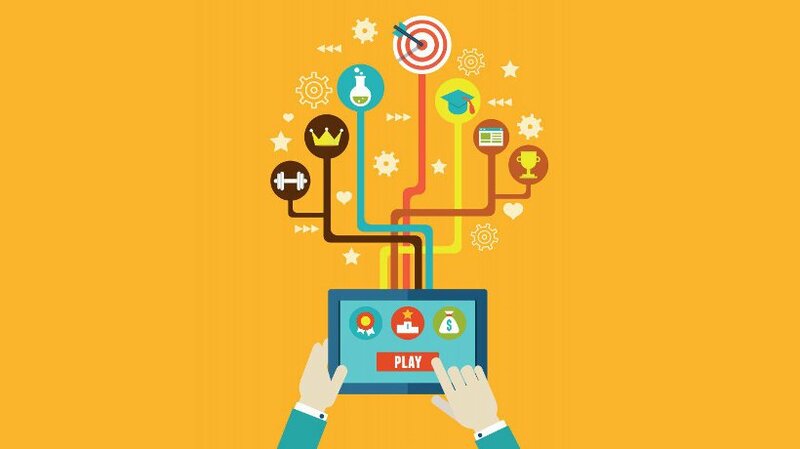 What are the benefits of game based learning for school children? Game based learning means inquiry based learning. The learner plays an active role in acquiring the knowledge as he performs certain actions, understands the why’s and how’s of those actions and subsequently faces the consequences of performing those actions. In rote learning, the focus is on memorization and recall of information. Unfortunately, this doesn't prepare the learner for all the situations he may face in real life while applying the skills. Game-based learning gives hands-on experience of the real situation in many cases or at least prepares the child better to apply the skills in real life than passive learning. Game based learning also means learning while having fun in an interactive and engaging manner. Children like to have fun and they like it very much when they learn things through games. "Tell me, and I will forget. Show me, and I may remember. Involve me, and I will understand". What is important for a parent to know about game based learning? In Gurgaon, The Millenium School has ‘Innovative Textbooks’ concept where much of the content is taught through activities and games. Another school i.e. The Heritage School is based on the model of experiential learning, that is learning by doing. Parents who have enrolled their wards in the school have reposed their faith in a curriculum where children learn through exploration in a stimulating environment and are taught to be the masters of their fate. This is because the focus of the school is to make the children independent and take ownership of their learning. One parent particularly made a point when he said that people get to see only smiling faces as they enter the school’s premises. This is very redeeming at a time when there is increasing concern about too much academic pressure on children creating fears and insecurities in their minds. As parents, we want our children to learn happily. Therefore, be mindful of all the positive benefits of game based learning and take a judicious decision to include it or not or to what extent to include it in your child’s study curriculum. Be vigilant that the game meets the learning goal. A good game will always make sure that the activities are aligned to the learning outcome to be achieved. Play the game yourself first before you introduce it to your child. Try using games as a supplementary tool for learning till you and your child are comfortable. We see that schools and educationists are opening up to new approaches to learning. Therefore, parents too need to be ready to embrace changes. Happy gaming with your child and all the best! Join Gurgaon's best After-School learning program. Apply now and get a FREE TRIAL class. Why learn English as second language from early age?